One big question of our lives is how do we put down our to-do list and phone and just live? An Oasis in Time offers key thoughts and practices for change. Join me in exploring the many ways that we can restore the life force to our overcommitted lives. Life is going by in a blur. Demands increase. The to-do list grows. The pressure is overwhelming. It’s hard to know what to do next. The solution? Stop. Yes, stop. Replenish. Reset your body, mind, and heart. Get going again with new perspective, purpose, creativity, and energy. Restore the power of rhythm to your life. Try the life-transforming practice of an Oasis in Time every week. Based on practices in the Western spiritual tradition, An Oasis in Time is a time-tested way to renew heart and soul regularly. 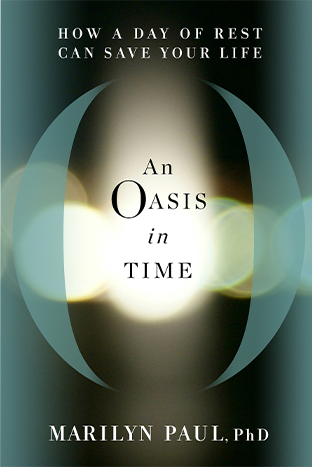 An Oasis in Time is chock full of tips, stories, and tools that can restore more vitality and purposefulness to your life. Author, speaker, and organizational change consultant Marilyn Paul shows you how to harness the power of rhythmic rest and restore your focus on what is most meaningful. Marilyn gives you a practical set of tools and encourages you to start small: practice your Oasis in Time for one hour a week. The book provides actionable guidelines for how to plan, how to slow down, how to put down your phone, and how to restore yourself at the deepest levels. With this book as your guide, you can go off the clock, and off the hook, regularly, knowing that when you return to the firehose of life, you will be more prepared than ever to actualize your life’s purpose. Marilyn carves out innovative pathways to productivity. She draws on her extensive consulting and coaching experience, her academic originality, and the power of traditional wisdom to create valuable learning experiences for a wide range of people. She brings thoughtful integrative approaches to a wide range of individual, team and organizational clients. Marilyn is always learning from her own and others’ experiences. Overwhelm has led her to significant burnout and a need to completely rethink her approach to getting things done. Marilyn has learned a lot from her own experiences with ADD and being the mom of an ADHD kid. She has learned how to look at challenges as assets and to develop profound self-knowledge as a way of navigating this non-stop world. Marilyn lives in the Bay Area with her husband and teen-age son. They have a flourishing fig tree and a fragrant herb garden in their back-yard. As a recognized dynamic public speaker and engaging presenter, Marilyn brings humor, compassion, dynamism, and deep wisdom to her work. She has been recognized as a Top 100 Leadership Speaker by Inc.com. Is Moving Too Fast Slowing You Down? 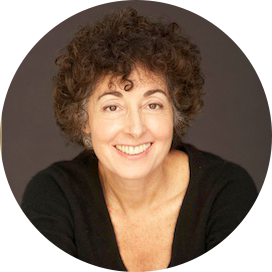 Writer Kevin Kruse interviews Marilyn Paul for LeadX. 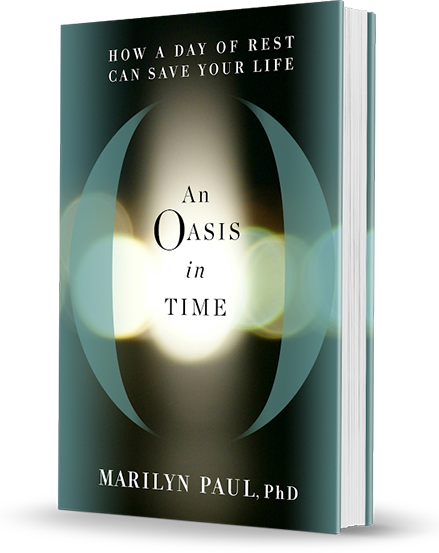 Listen to Marilyn Paul discuss her book An Oasis in Time in the SuccessTalk Podcast. Featured in Spirituality & Health.